Earn $28.50 in VIP credit (2850 points)What's This? 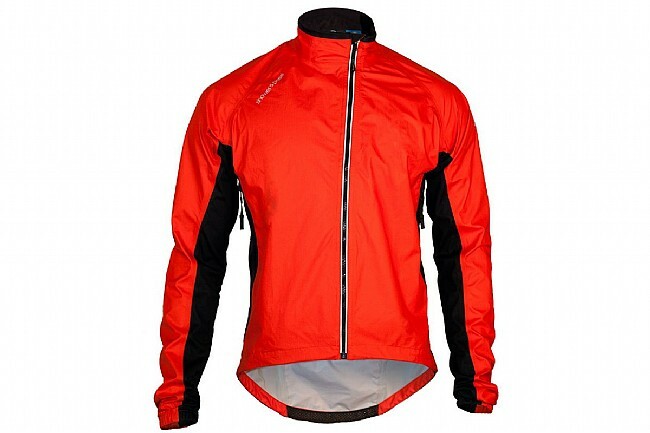 The Showers Pass Spring Classic Rain Jacket is designed for the most demanding all-weather cyclist. The fit closely follows the shoulders and the underarms so it doesn't drag in the wind. It's short in the front so it doesn't bunch up on the bike, and it's long in the back for full coverage. 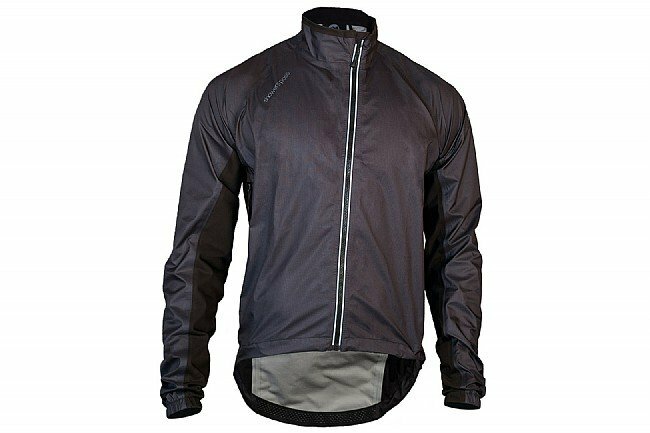 This race cut is made possible thanks to the combination of elite™ hardshell fabric that is 35% lighter than on the Elite 2.1 Jacket and 4-way stretch elite™ softshell fabric that's stretchy as well as waterproof for a trim-fit that doesn't hinder mobility. These two elite™ fabrics are joined with fully-taped seams and a wide-tooth front zipper that's easy to use on the fly. The Spring Classic has a draft flap to keep the chill out when zipped shut, and when things start to heat up, two zippered side-vents and a back vent can be undone to allow for flow-through venting. The collar is specially designed to lessen irritation, and its moisture-wicking lining is soft on the skin. To keep the jacket from riding up, there are silicone grippers on the tail, and additionally, the double-adjust drawcord at the hem can be used to cinch the jacket tight. 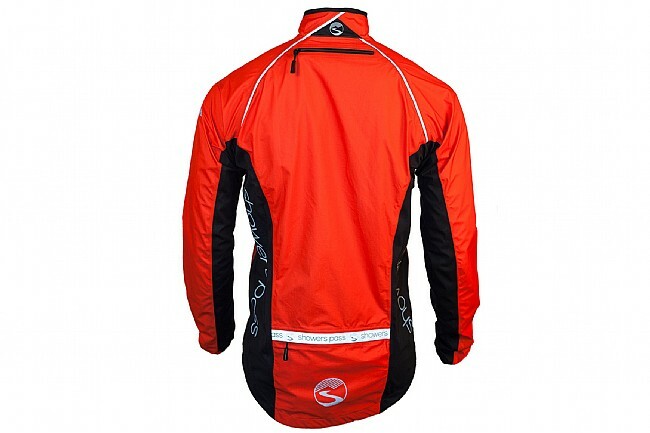 One large zippered rear-pocket provides room for all your ride nutrition, and this jacket is packable enough that it can either be stowed in a jersey pocket or stuffed into the rear pocket itself and zipped closed for compact storage. Available in multiple colors. Features reflective accents for increased visibility. Cut in a race fit. Consider sizing up if this garment is to be worn with more than a light baselayer and jersey.